As the summer hols come to an end, what's the best thing to do? Look ahead to the next one, of course! So you couldn’t face the hassle of going abroad for the family hols this year and the staycation was soggy? You win some, you lose some, but hey, we’re all about learning here and I’m about to tell you how your next holiday could be a zillion per cent better. 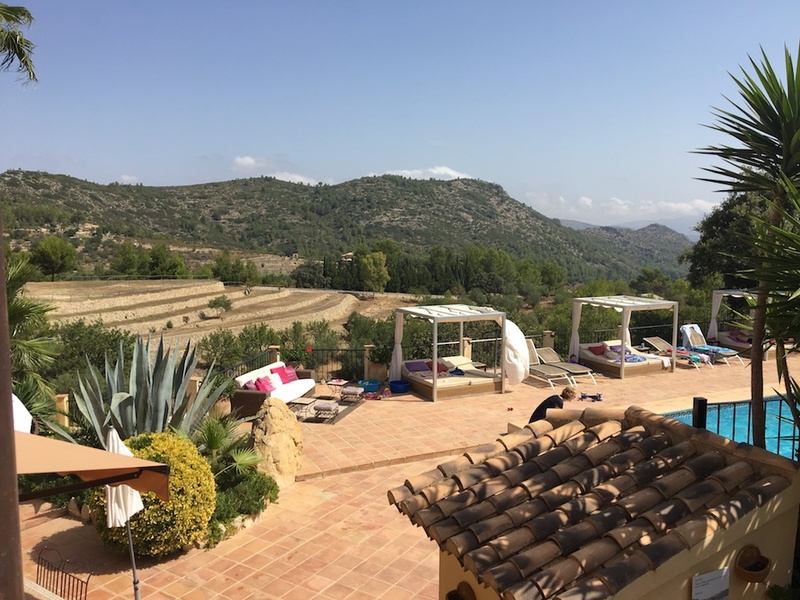 Basically, just do what Muddy Devon and her Muddy Clan have just done and check in at the glorious Caserio del Mirador and you’ll have a blast. 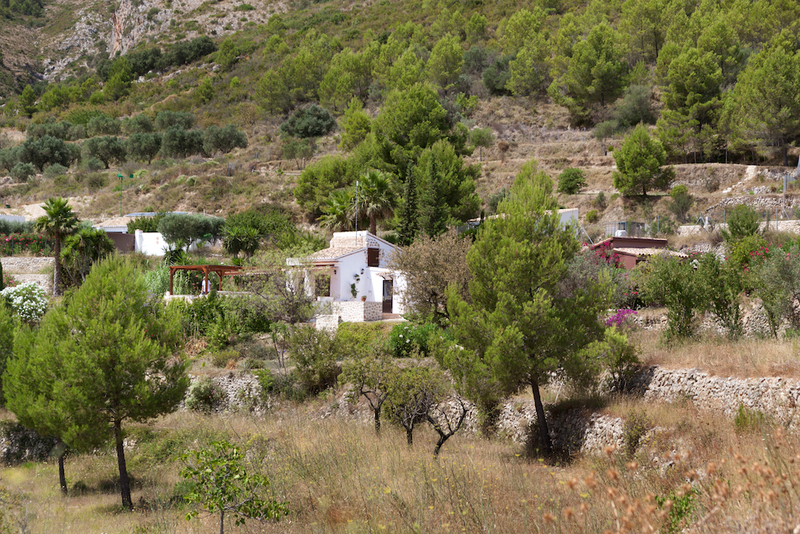 Caserio del Mirador is a complete retreat from the rest of the world, found inland from the Costa Blanca, up in the hills above the town of Jalon (or Xalo, depending on what you’re reading). 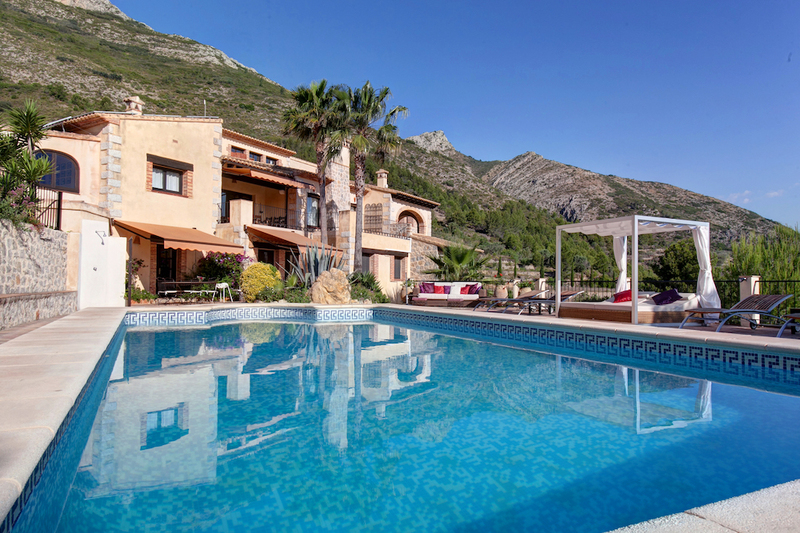 It’s situated roughly the same distance from Alicante and Valencia airports, give or take twenty minutes or so) and, do you want the good news? You can fly out of Exeter (aka the World’s Easiest Airport, or WEA), or Bristol. When you reach the other end, you’re an hour to ninety mins’ easy drive and, although the last ten minutes or so takes you into the hills, those hairpin bends are fun! 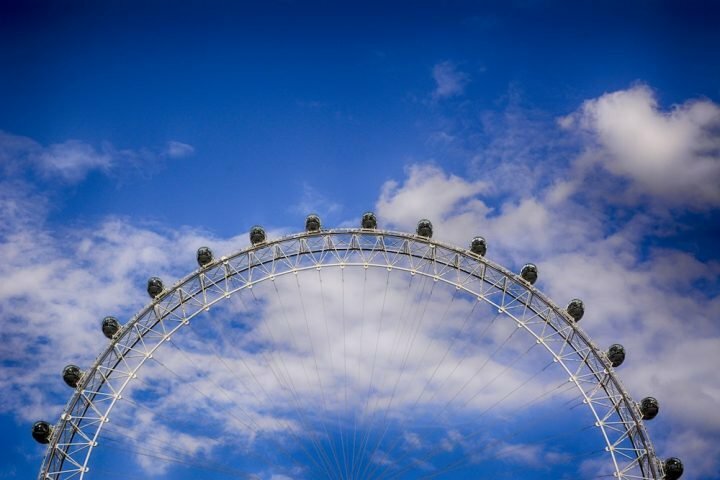 You do need a hire car to get there and around, but you don’t need to travel too far to see some of this areas best bits. We flew into Valencia from Gatwick (since we booked super-last-minute our travel options were limited) and found the whole journey about as straightforward as it could be (boosted by an airport sighting of GBBO’s Mr Blue Eyes as he made his way to the lounge). 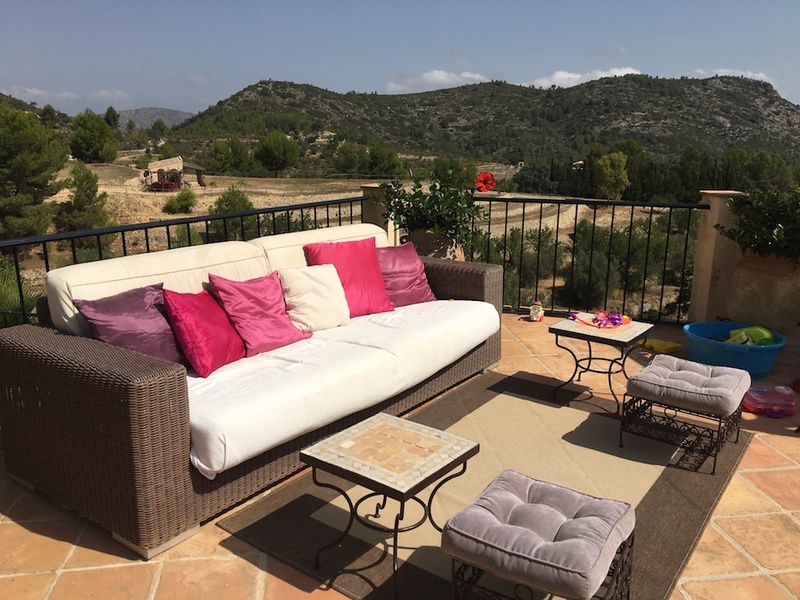 Since the Mudlet arrived, I’ve longed for the flexibility of self-catering, without the actual hassle of catering from our holidays and, holy craparoo, I’ve only gone and found it, with added luxury and convenience – excuse me while I do a victory lap. This is a small, stylish hotel consisting of six mini apartments in one big, beautiful house run meticulously by British expat couple Sarah and Johnny. I say meticulous because these two are On. It. 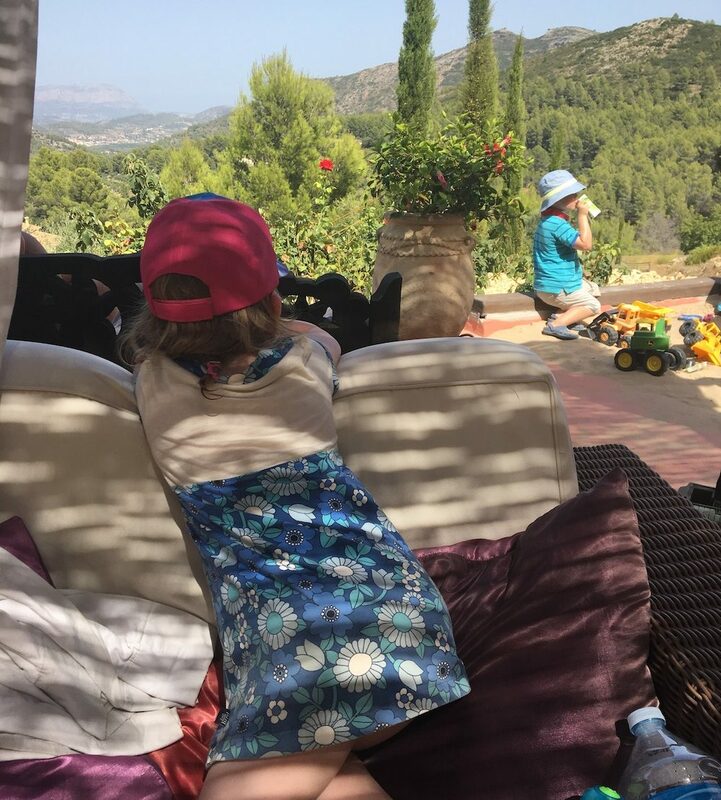 Having come from pretty high-intensity careers themselves, with kids too, they totally get what parents and small people want and need from their precious saved-up-for hols and are hell-bent on delivering. They’ve totally gone for it with the family-friendly mantle and succeeded. Plus, Sarah has some insane ability to make any small children within her clutches eat broccoli and behave impeccably. It’s quite something. 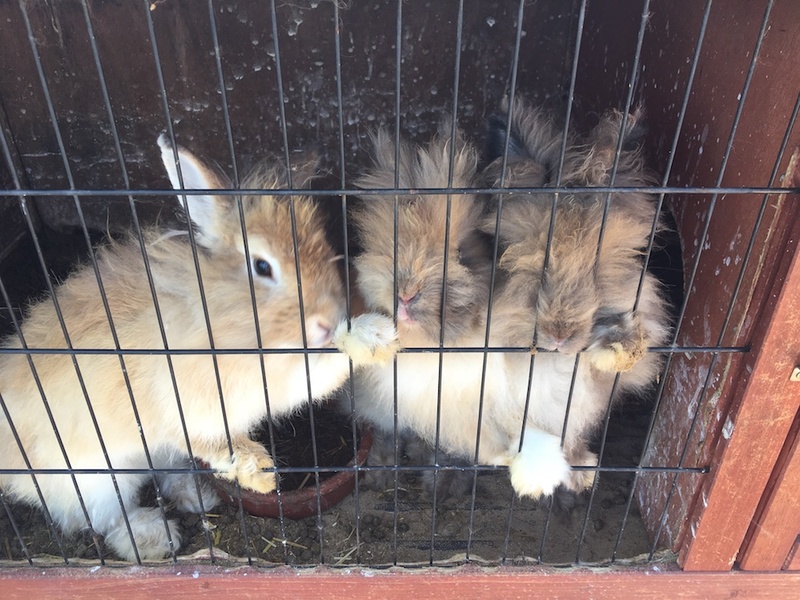 Owner Sarah (who the kids all love, by the way), summed up the place perfectly to me one morning: ‘it’s bunnies, vino and babies’. What she meant is that this is as much about the adults as it is about the kids, which is probably why they get so many returning families year after year. We all know that happy ankle-biters means happy parents, but that needn’t mean endless sacrifices from you to keep the peace. Here, you can laze on a lounger, snooze in a hammock, help yourself at the honesty bar, grab a massage and treat yourself to a decent meal when the nippers are tucked up. Meanwhile, they get to lark about in the pool, feed the animals, play in the sandpit, help themselves to countless toys and make great friends with the rest of the kids. And once they’ve all bonded, you all get to share the parental responsibility when it’s time to supervise feeding the animals, or bouncing on the trampoline ie. take it in turns so parents all get their share of respite. There are five cheerful apartments, all with their own roomy terrace, a private Casita, plus a very groovy-looking airstream. They’re all different sizes and configurations, so that you can pick the one that best suits your family set-up. Some have two bedrooms, others just one and the Casita is a private, two-bedroom house, located 100m from the rest of the hub. The airstream is a fab option if you’re a small party and you’re looking for something a little different and more flexible (this one’s available for short breaks, unlike the others that are normally booked in week-long blocks) and comes with its own private terrace and hammock. It’ll easily fit a travel cot. We stayed in ‘Fernando’, which is only one-bedroom but worked perfectly with our four year-old. It’s an open plan layout, with double-height ceiling and the bedroom is a mezzanine above the living area, which can be curtained off at night. The Mudlet stayed beneath us on the sofa, which converted into a bed and so provided that sense of adventure, like camping does. It was the only room left and we still loved it, but the options are varied, so have a nose around on the website before you book and you’ll find what suits you. You could easily turn up with a few pairs of knickers each and a sombrero and survive. They’ve thought of everything here – and more – from potties to buggies, changing mats, feeding equipment and high chairs. Beds are super-comfy and linen is soft and high quality (perfect after a day in the sun). 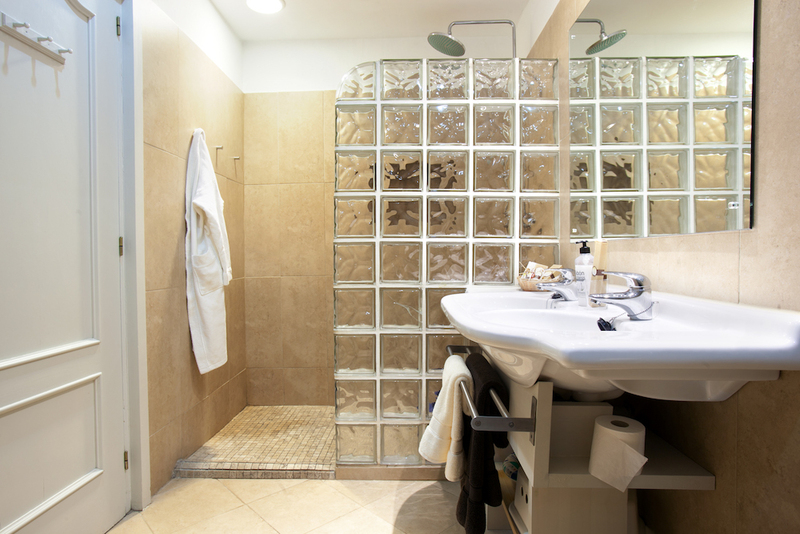 Ren goodies are provided in the very lovely bathrooms, so don’t worry too much about carting huge shampoo bottles over. 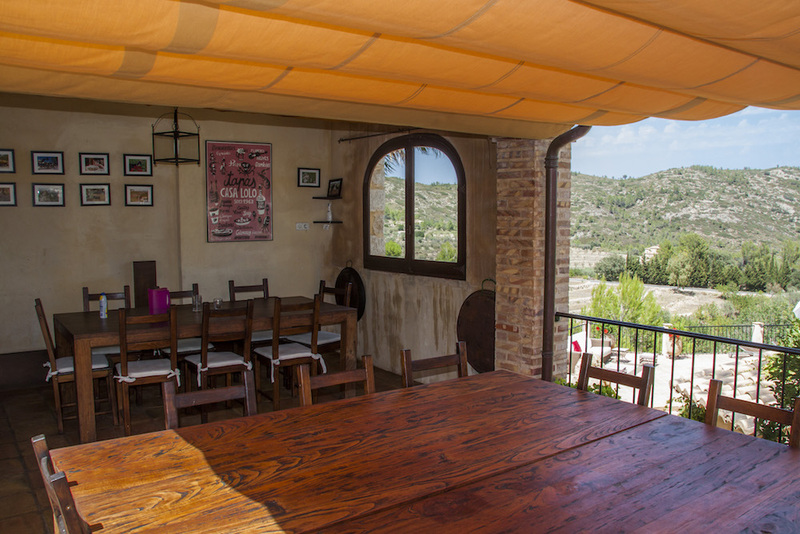 There’s a mini kitchen, dining area and we had a huge terrace, with glorious views out over the valley to the sea in the distance. We loved sitting outside on the sofa with a glass of wine at night, seeing shooting stars and enjoying the serenity of it all. 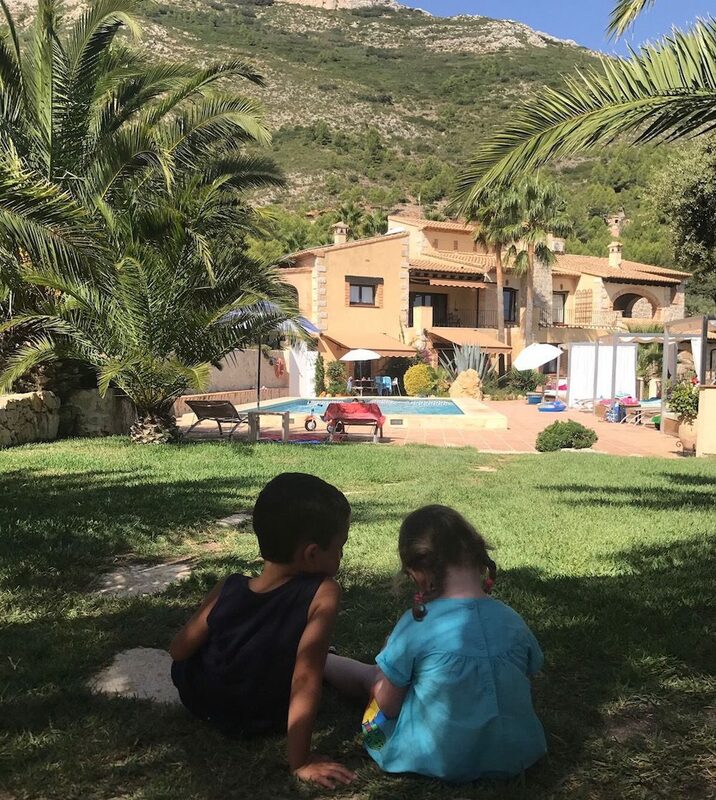 Casa del Mirador is focused around parents not doing an awful lot, while the smalls get up to loads of adventures. Everyone’s happy and you get to spend quality family time together. There’s a pool, with a good shallow end for those with armbands and plenty of inflatable toys, floats and goggles on hand. The pool is flanked by comfy sun loungers and there are plenty of spots all around the grounds to sit quietly with a book, or have a doze My fave? The hammock, close followed by the chilled-out Mirador, shaded and peaceful, whilst being central enough to keep an eye on the smalls, with incredible views. 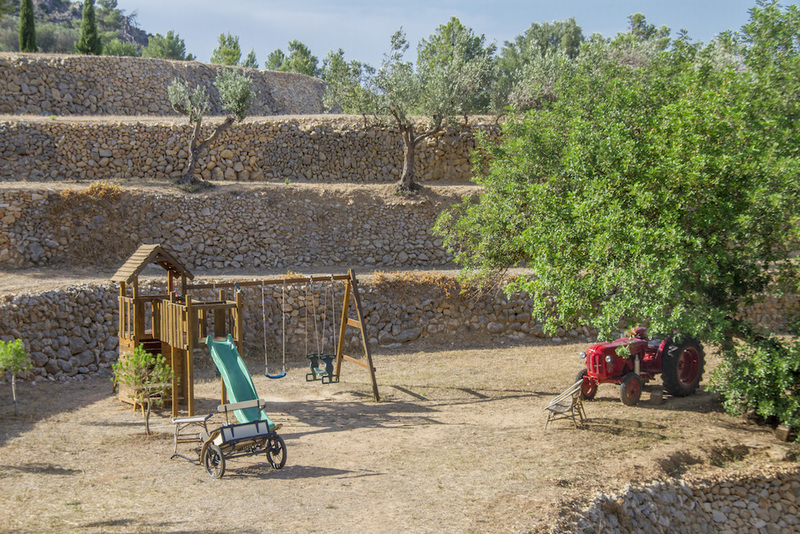 For kids, there’s a sandpit, a trampoline, sweet little playground, plus a room full of ride-ons and toys for all ages. Plus, the rooms all come with a box of toys and books matched to their age. From the moment they arrive and see the blackboard in the kitchen with all their names written on it, the little ones are completely and utterly contented. 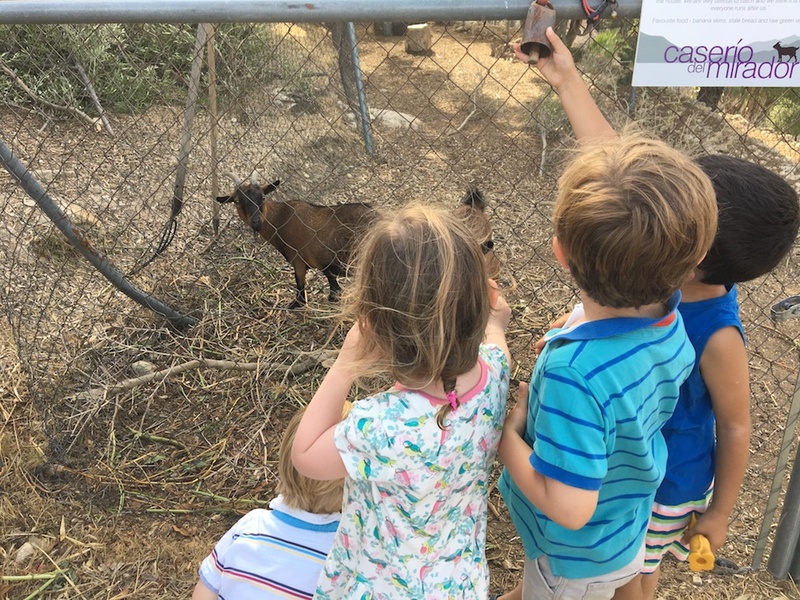 The animals – and having the responsibility of feeding them – are a star attraction for the kids. 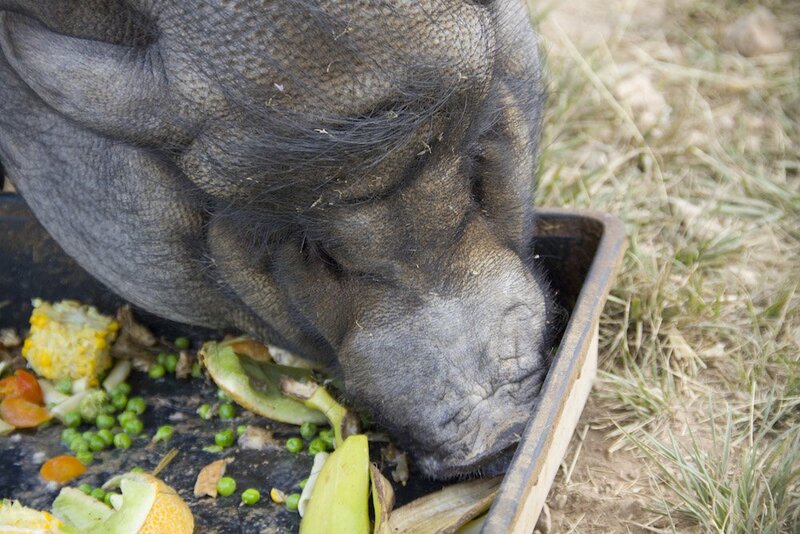 Beryl, the pot-bellied pig is basically a cute dustbin on four legs and will gladly take most of your leftovers off your hands, thus keeping your living quarters in good nick. What Beryl turns her snout up at will be devoured by the chickens, goats and rabbits. The Mudlet loved hooking up with the rest of the gang each day and going to feed the animals, collect eggs for the next morning’s breakfast and help Sarah by picking tomatoes and figs for dinner. It’s like something from The Famous Five. And, for those in need of an hour or two’s switch-off time, a beauty and massage therapist comes to the house once a week and offers really reasonably-priced treatments. 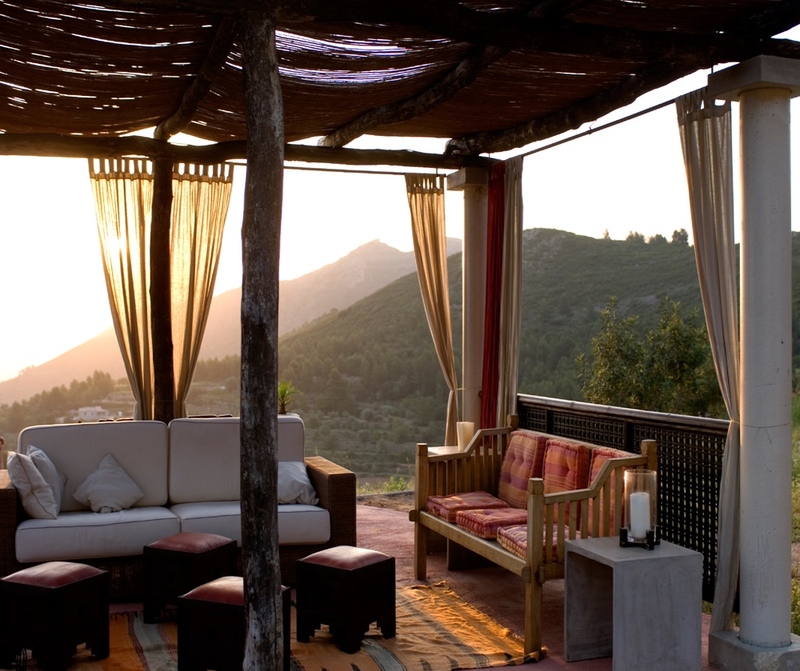 I had an incredible deep tissue massage one morning, outdoors, under the shade of the Mirador and was zoned out for the rest of the day. As far as I’m concerned, this is a major bonus. You can self-cater if you really want to, but, quite frankly who wants to – especially when the options on offer are so brilliant? You’re provided with a decent welcome pack when you arrive, with fresh coffee, milk orange juice, jam, Weetabix and other bits and bobs to get you started. Then, each morning, you can have bread and croissants delivered fresh to your terrace. Lunch and dinner are available every day except Monday and Wednesday when the kitchen is closed. First, the small people are catered for in a nice, communal setting (while the parents are plied with drinks as they supervise the zoo). Then, dinner (the menu is normally announced in the morning) can either be brought to your apartment for you to enjoy on your private terrace; or, you can take the baby monitor up and enjoy a civilised evening with the rest of the grown-ups. It’s completely down to your preference, but whatever you go for, you’ll be happy with the food (authentic, freshly cooked by Sarah and go-o-o-d) and the copious amount of wine that comes with it. 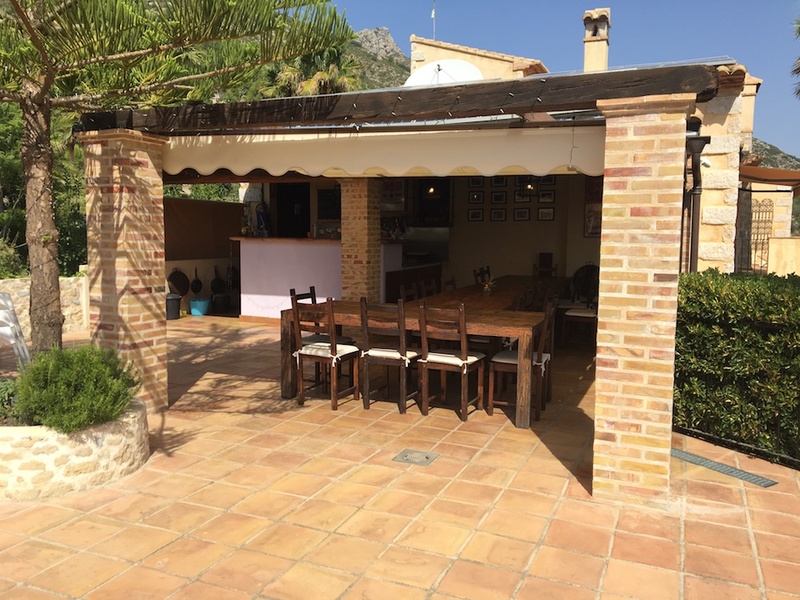 There’s also a communal outside kitchen with honesty bar, so you can help yourself, day and night, to coffee, wine, beers, soft drinks and fruit. And it’s all very honestly priced. 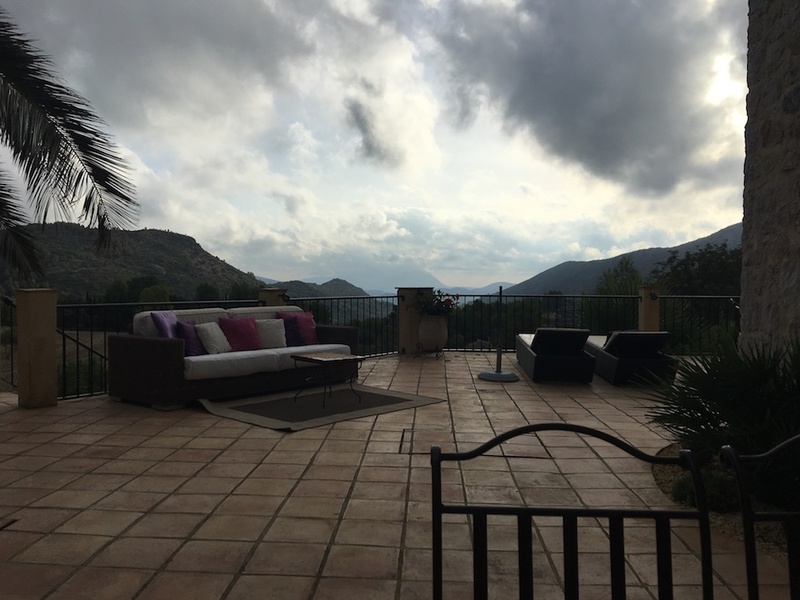 You could easily rock up at Casa del Mirador, ditch the car and not return to it for a week (and many families do just that, as we discovered). But if you’re a traveller easily-afflicted by itchy feet, there’s plenty to see. The coast is half an hour or so from base and the beaches are fab (Sarah has plenty of recommendations when it comes to family-friendly spots and restaurants). 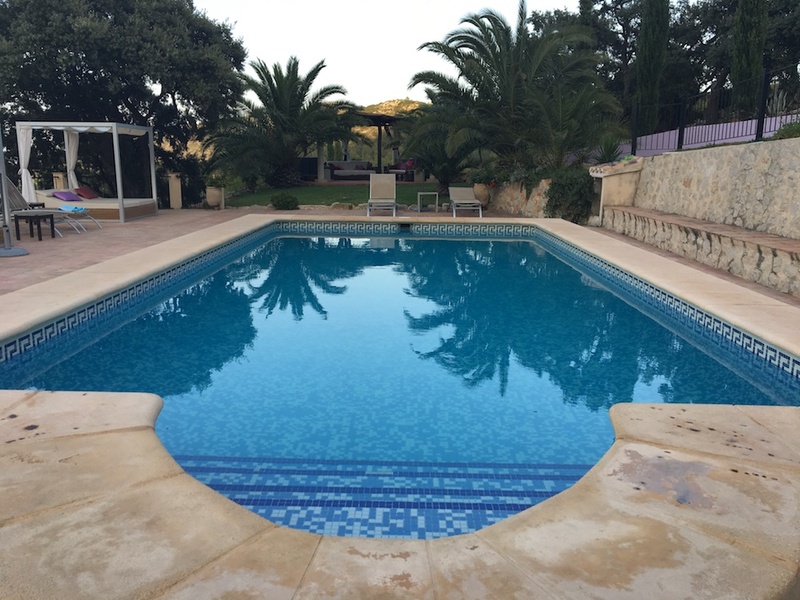 We loved her tip-off about Javea beach and Moraira, both with good child-friendly restaurants and play areas. You can help yourself to beach towels, mats, umbrellas and toys to take out on your trip. 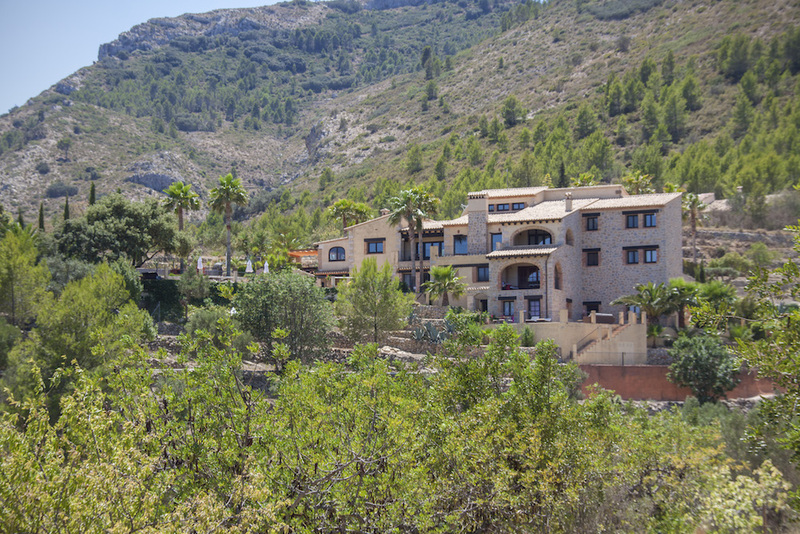 If the thought of sandy pants grates on you, then there are plenty of opportunities to explore the incredible mountainous countryside, splash about in natural waterfalls, or get a blast of authentic Spanish culture by visiting the nearby town of Jalon. I’d normally be ashamed to admit that we didn’t do any of this, but since we only grabbed a last-minute five days, we were only fit for a sun lounger. Good for: families and groups of families with children under 12 (but in my opinion it’s best for those under 5); those who aren’t fussed about being by the beach; those looking for the convenience of a hotel, with the privacy and set-up of a self-catering hol; stressed-out types looking to switch off from the rest of the world for a bit. Not for: those desperate to be right by the sea. While it’s easily reached, this isn’t a beach holiday; it’s a mountain retreat. 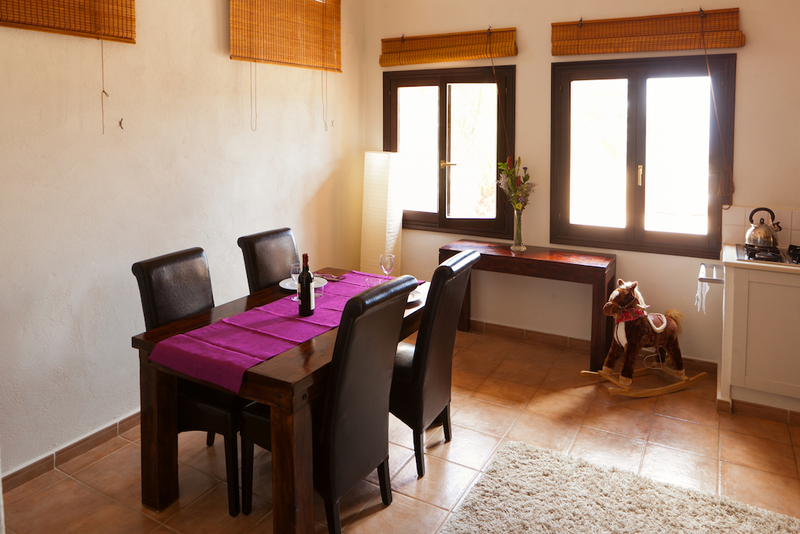 £££: The prices reflect the time of year and in peak season our apartment costs 1750 euros per week. 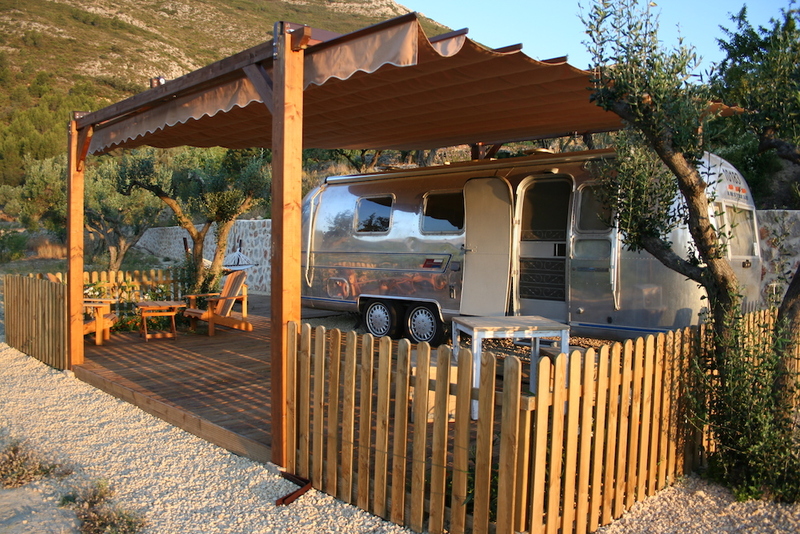 The casita (private house) costs 3300 euros and the airstream costs 700 euros. 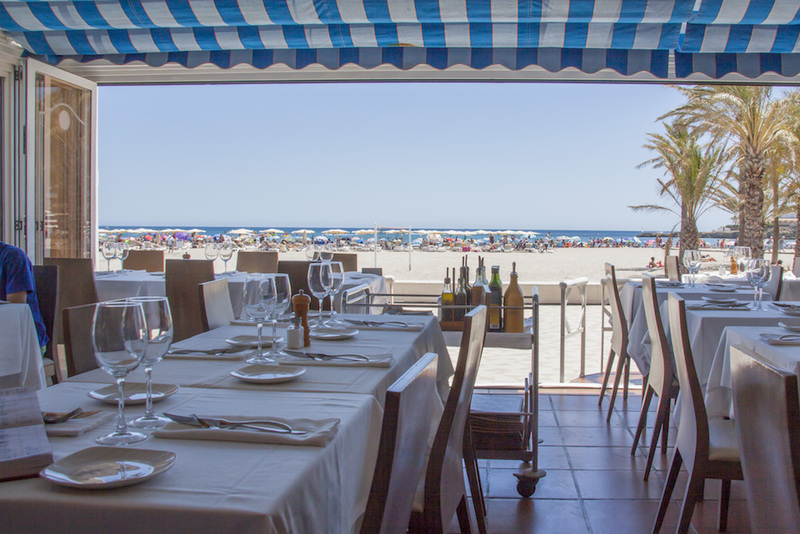 Expect to pay between 20 – 40 euros per head for dinners, but this includes drinks (plus drinks for adults while the kids dine). 1) Pack light. Seriously. Although the website and booking information will tell you, it’s still too easy to take a load of “important things” that you think the kids won’t be able to live without, “just in case”, as we did. 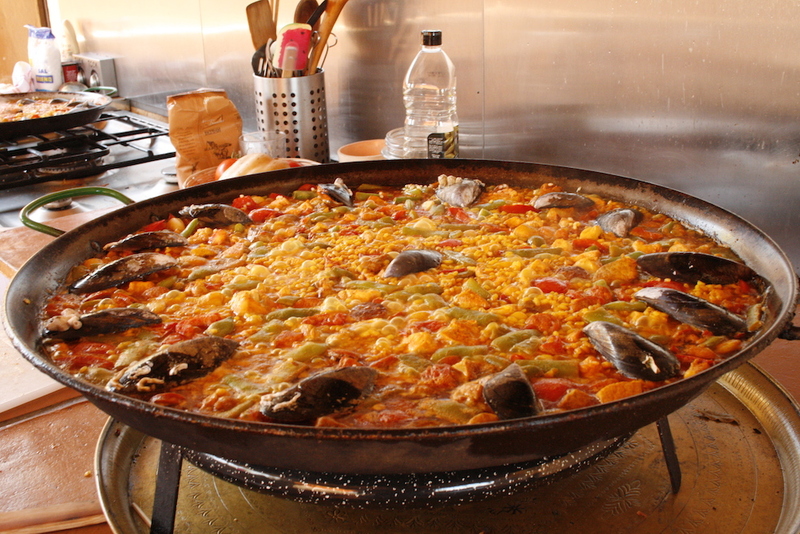 But, take it from me, you will have all that you need at Caserio del Mirador and, if you don’t you only have to ask. 2) Have you heard of the Trunki Boostapak? This genius piece of kit saved us so much travel hassle. We found that the daily cost of a child car seat was ridiculous and were contemplating lugging one onto the plane, but then I received a tip-off about this. It’s basically a child’s rucksack that converts into a legally safe booster seat in the car, suitable for kids aged 4+. At £45, I reckon this is an investment that’ll more than pay for itself. 3) If you’ve ever thought about getting a group of friends and their kids together, then this option is ideal. You’ll have the privacy of your own living space, the convenience of being catered for and a great communal space to treat as your own. What more could you want for? 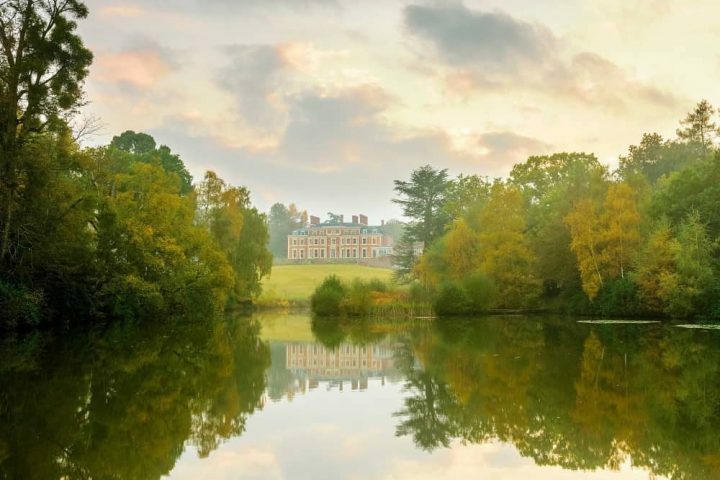 (Apart from Tom Hardy, George Clooney and Ryan Reynolds as your own private butlers. What? A girl can dream). 4) Don’t bother being super-organised and stocking up en route on booze for fear of being stung by an enormous bar bill at the end of your stay. The honesty bar is brilliant and really honestly priced. We’re talking a euro each for cans (including beers), soft drinks and coffee from the Nespresso machine. And the wine choice (also well-priced), is great. After five days constantly helping ourselves, our bar bill mounted to a whopping 27 euros. 5) Ditch the guide book. The website, Sarah’s personal recommendations and the daily sheet that arrives with your breakfast each morning tells you all you need to know about the area, what to do and how to get the best from your break. So that’ll save you a kilo in the luggage.